Please check the information on property level.Please check the information on property level.. The luxury 4-star Thorpe Park Hotel and Spa is set in a prime location close to Leeds, north England’s most cosmopolitan city. Take a short drive and discover the Grand Theatre, Leeds City centre and the Yorkshire Dales. Guests have complimentary use of the Jacuzzi, sauna, gym, indoor swimming pool, and the spa and leisure club. All rooms are air-conditioned and double-glazed, and contain a flatscreen TV, a radio and bathrobes and slippers. Free wi-fi is also accessible throughout. Found a short drive from Leeds, and conveniently close to the M1, this modern spa hotel is a great place to relax outside of the city centre. On-site you’ll find a contemporary restaurant, which serves the best local produce, and you’ll also receive complimentary access to the on-site spa, which has a pool, steam room and selection of relaxing treatments. Each room offers free wi-fi, a fridge and a private bathroom with designer bath products. Set in central Leeds, a short trip from the train station, bars, museums and restaurants, the Gateway Apartments are ideally placed for leisure and business trips. 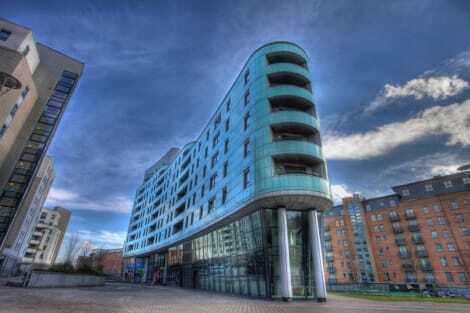 Modern and comfortable, these serviced apartments have fully equipped kitchens, handy free wi-fi and LCD TVs. Designed for maximum comfort, each apartment is a blend of homely touches and chic design. After a long day, soak up the city atmosphere from the balcony or terrace, or simply unwind. Parking is available at £12 per night. The 4-star luxury Weetwood Hall Hotel is surrounded by 9-acres of private woodland and garden. Housed in a 17th-century manor house, the hotel acts as a spacious base for visitors to explore Yorkshire Dales, Abbey House Museum and Golden Acre Park, all of which are close by. 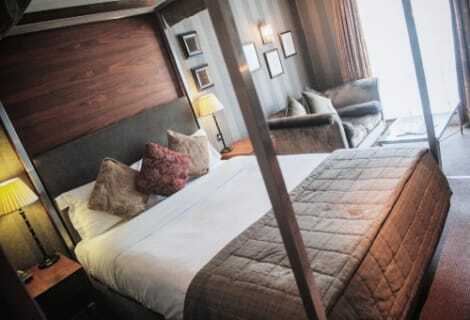 The rooms offer home comforts like complimentary bathrobes, flatscreen LCD TV’s and free wi-fi access. The on-site Woodlands restaurant serves breakfast, lunch and dinner. The Brasserie has an Italian garden. Experience true luxury at this historic 4-star hotel set in nine acres of private woodland and gardens to the north of Leeds. 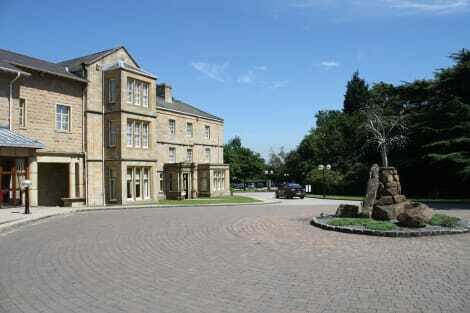 Accessing the city centre from this 17th-century manor house is no problem, and popular sights including the Yorkshire Dales, Golden Acre Park and Abbey House Museum are also all within easy reach. A variety of relaxed and formal dining options are available on site, while complimentary access to a nearby health and fitness centre is also on offer. The stylish 18th century converted corn mill overlooks the River Aire, within walking distance of First Direct Arena and the shopping district. 42 The Calls is only a 10 minute walk from the train station. This boutique hotel has a 24-hour front desk, an onsite restaurant, bar, and lounge. 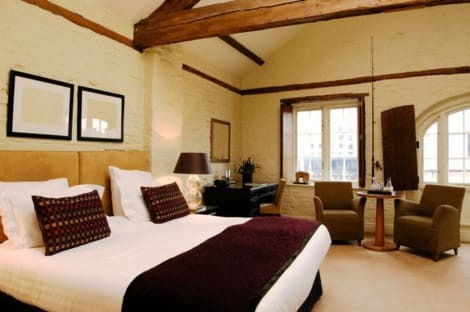 The rooms have original oak beams and offer 24-hour room service, an LCD TV, free wifi, an en suite bathroom with free luxury toiletries and bathrobe.